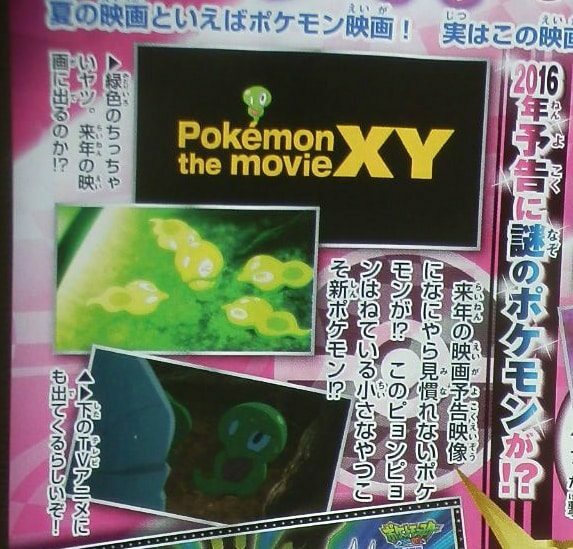 Japan’s CoroCoro Comic has promised to dispel speculation surrounding the mystery Pokémon seen in a post-credits teaser shown during Pokémon the Movie: Hoopa and the Clash of Ages. The latest issue has only fuelled the fire, sharing more screenshots taken from Ash and Pikachu’s animated escapades that continue to tease the Pokémon’s existence. But we won’t be left in the dark for long, with CoroCoro stating that information surrounding the mystery Pokémon, as well as the shadowed Pokémon, will be revealed in their next issue. CoroCoro Comic’s next issue will hit newsstands in Japan on Tuesday 15th September.